Cabbage, and all brassicas, should be avoided by those who have an overactive thyroid gland. Sauerkraut is high in thyramine, which can trigger migraine headaches in some people. Wild cabbage is native to the coasts of the English Channel and the Mediterranean, but cultivated varieties are produced worldwide as a vegetable. It is a biennial or perennial with a thick stem, gray-green leaves, and four-petaled flowers, growing to eight feet. Within the first year, it produces a greatly enlarged terminal bud that develops into the familiar cabbage head. The plant has been cultivated for at least 4,000 years. It has been called: “poor man’s medicine chest” and “doctor of the poor”. Cabbages were used by sailors to prevent scurvy. It was also an ancient remedy for TB (tuberculosis). Cabbage has an ancient reputation for purifying the blood, a practice seen today as decoctions and fresh cabbage juice are taken as a good cleanser and detoxifier. It was used by the Romans as an antidote to alcohol, believing it counteracted intoxication and prevented, or reduced, a hangover. This concept has some validity since cabbage aids in the breakdown of toxins in the liver. In a Greek ritual, cabbage was given to expectant mothers shortly before birth in order to establish good breast-milk production, a practice that is carried out by women, of any culture, today. Cabbage leaves have long been used as a poultice to treat infected wounds. Extensive modern research largely confirms its ancient use in folk medicine, and it has been shown to stimulate the immune system and the production of antibodies. Its sulfur compounds are largely responsible for its antiseptic, antibiotic, and disinfectant actions, particularly in the respiratory system. An amino acid, methionine, found only in raw cabbage, is responsible for promoting the healing effects. As an old remedy for hangovers and used to dry out alcoholics, cabbage is showing through modern research that a substance called glutamine can help both peptic ulcers and alcoholism. Its tumor-inhibiting constiuents are the bioflavonoids, indoles, genistein, and monoterpenes. Poultices have long been used to treat wounds, burns and scalds, boils and carbuncles, bruises and sprains, ulcers, blisters, cold sores, shingles, and bites and stings. Its anti-inflammatory action can benefit swollen and painful joints and help relieve the pain of neuralgia, sciatica, toothache, headaches, migraines, and lumbago. Traditionally, it was applied over the abdomen and left overnight to treat peptic ulcers and bowel problems. Applied during the day to the lower abdomen, it was thought useful in soothing cystitis and renal colic and the relief of fluid retension. Poultices, along with cabbage tea or juice, were taken to relieve the pain and soreness of a harsh cough; and, if the poultices were applied to the throat, they helped soothe tonsilitis and laryngitis. To make a poultice, cut out the midrib of a leaf and iron it. Place while still hot onto the area to be treated, being careful not to have it too hot or to leave it on too long as it can cause blisters. 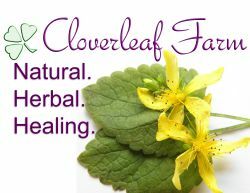 Fresh leaves steeped in olive oil can be applied to chapped skin, chilblains, varicose veins, abscesses, and boils. Fresh juices can be used as a diuretic and antiseptic for the urinary tract and to ease fluid retension and to reduce or prevent kidney stones, arthritis, and gout. Gargles made from cabbage juice are used for sore throats. Lotions with the juice can relieve burns, bites, cold sores, acne, impetigo; and, if squeezed into the ear,they can help heal earaches (this must be done by a professional). Eyewash made from cabbage juice and warm water is excellent for sore, tired eyes. Fresh leaves can be placed directly onto wounds or even into a bra for mastitis or engorged breasts. To use, cut out the midrib, and beat the leaf gently to soften it and release its medicinal properties, then place on an affected area. Decoctions are used for digestive problems, including colitis. Syrup made from a decoction can be used for coughs, asthma, and bronchitis. Because of its iron and chlorophyll content, it has long been used to treat anemia. It is taken to treat anxiety, depression, insomnia, exhaustion. Breastfeeding mothers use it to stimulate milk production. In soups and teas, cabbage has long been used during colds, flu, sinusitis, and sore throats. Cabbage has long been used to heal ulcers as it contains mucilage that coats the lining of the digestive tract, protecting it from irritants and excessive acid. It is recommended that two or three glasses of freshly extracted juice be taken between meals to relieve peptic ulcers, gastritis, heartburn, and ulcerative colitis. It is used to stimulate the digestion and to relieve constipation. A traditional Russian cure for chronic constipation is one-half glass of salted cabbage juice taken before each meal. However, it can be just as effective without the salt. As a tonic, cabbage has long been used to treat cirrhosis of the liver, as well as lethargy, irritability, and headaches, all symptoms associated with a sluggish liver. 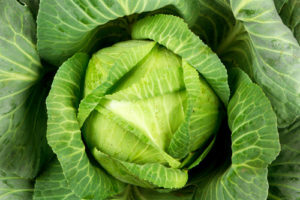 Cabbage may help reduce blood sugar, so may be of benefit to diabetics. Like other brassicas, cabbage also has the ability to help lower the risk of cancer, especially of the colon, and growth of polyps, which often are a prelude to cancer. When eaten raw, cabbage has been shown to help protect against the effects of radiation. Cabbage also appears to enhance the body’s ability to metabolize estrogen, helping to reduce susceptibility to breast, uterine, and ovarian cancers, if eaten regularly. Externally, cabbage leaves have a soothing antiseptic and healing effect and the ability to draw out toxins from the skin. Cabbage poultices are also excellent for sore throats and hot, swollen joints. Lightly crush the leaves, blanch in boiling water, and wrap around the area. Leave on for two to four hours and renew, as necessary. Care is needed not to blister the skin.